Do you want to participate in The Ride For Roswell, but don’t own a bike? Well, you’re in luck! There are several bike shops around Buffalo that rent out bikes specifically for The Ride. Call or visit the shops below to see what’s available. Reserve your rental by visiting the website or calling Bert’s Bikes & Fitness at 716-837-4882. 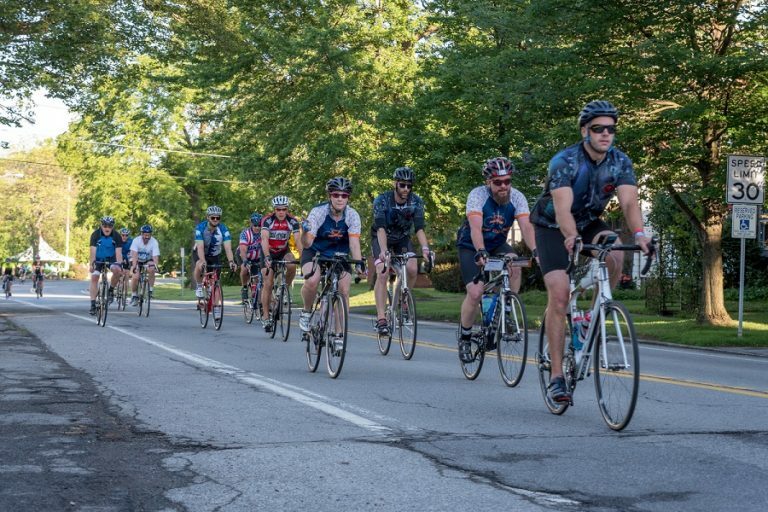 Bert’s will bring your rental and helmet directly to the start line at either the University at Buffalo or the Roswell Park campus. After you complete The Ride, Bert’s will be waiting at the finish line to collect your bike! To reserve your rental, call Campus Wheelworks at 716-881-3613 or stop in at 744 Elmwood Avenue, Buffalo, NY 14222. Tell them you are renting for The Ride – they’ll help pick one that’s right for you! When the event gets closer, get ready to make the arrangements to pick up your rental. You can pick it up on Friday, June 21, between 10 a.m. and 8 p.m.
Return your rental on Sunday, June 23, between 12 and 5 p.m. Rental Price: $50. This includes a helmet if you need it, too! Give Tom’s Pro Bike a call at 716-651-9995 or stop in the Lancaster location at 3687 Walden Avenue, Lancaster, NY 14086. You can pick up your rental on Friday, June 21, between 10 a.m. and 6 p.m. from the Lancaster location. Return your rental to the Lancaster location on Saturday, June 22, until 6 p.m. or Monday, June 24, between 10 a.m. and 8 p.m. Please remember these bike shops have a limited inventory. There is no hard cutoff date, but there will be fewer bikes to choose from after June 14, so the earlier you secure your rental the better! You will not be allowed to participate in The Ride without a helmet, so don’t forget to rent one at any of these shops. Ensure that you make the proper accommodations when picking up your rental, too. See you on June 22!